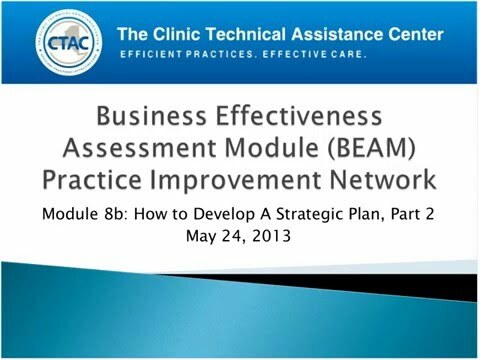 Today's webinar covers the "Nitty Gritty of Strategic Planning." The overall theme of the presentation is bridging the gap between high level concepts covered in past webinars and the ground level work (at the clinical/care delivery level), needed to achieve the goals set. Here, we are introduced to the idea of conceptualizing 'Strategic Planning' as 'Treatment Planning' and go over what the specifics of planning entails, such as assessment, focusing on problems, gathering tools and resources, and ascertaining what steps can be taken immediately. Additionally, the presentation covers ways to measure and ensure success of project aims through individual responsibility, communication and accountability.